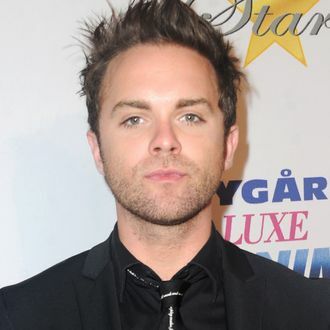 Thomas Dekker, an actor known for his work on The Sarah Connor Chronicles, The Secret Circle, and for his role as Hayden Panettiere’s high-school friend Zach in Heroes, has come out as gay and revealed that he is married to a man. Dekker did so after Hannibal and American Gods creator Bryan Fuller, who wrote on Heroes, obliquely discussed his sexuality at an Outfest Los Angeles panel earlier this week. In his speech, Fuller discussed “het-washing,” when a character meant to be gay is turned straight during the production of a TV series. Fuller alluded to a cast member on the first season of Heroes whose management threatened to pull him from the show if the character was revealed to be gay. “The character became straight, and the actor came out as gay,” Fuller said. Given a little detective work, it was fairly easy to identify the actor mentioned in Fuller’s speech as Dekker, as those involved in the show had previously discussed backstage drama related to discussions over Zach’s sexuality. Dekker himself addressed the issue in a 2007 blog post, claiming that his issue was not with playing a gay character, but that making a character who “had a burning love” for Panettiere’s Claire gay would go against the interpretation he was providing. See Dekker’s full note below.